"In a rich man's house, there is no place to spit but his face"
1) I can kill myself, at any time, if I want to. I'm in control and nobody can take that away. Paradoxically, understanding that made me feel better, because if I know I can do it at any time, why do it now? May as well wait a little while. 2) Make a checklist of essential tasks and get into a habit of doing those things no matter what. Some examples: shower, brush teeth, floss, use mouthwash, clip nails, walk 10k steps, do dishes, make bed etc. Check them off. It doesn't matter what's on the list, but it is important to check off 100% of the items each day. Put every small task you can think of on this list and you'll feel good when you check each of them off. 4) Eat healthier. Fresh steamed spinach and wild salmon always made me feel a little better for whatever reason. 5) Get out of the house! Walk! This is really important. 6) Go to the gym. Aim for at least a couple minutes of sprints per day (I like the rowing machine for this). Sprints are holy time in that suicidal thoughts will completely disappear, if only for those few minutes. 7) Walk through a dangerous part of town. Nothing gets rid of depressive thoughts faster than rising blood pressure and a fast heartbeat. 8) Get rid of as much decision-making as possible in your life. Turn decisions into mechanical rules. e.g. don't think "do i want to brush my teeth today?" You need to brush your teeth in order to cross it off your list. 9) Sleep will naturally improve on its own, over time, if you exercise, move around, and eat healthier, so don't worry if you currently have trouble sleeping. What didn't work for me was: thinking about all the people i'd hurt, calling a hotline, any decision-making that wasn't mechanical and required reasoning, insight, or motivation. If you're suicidal right now, start by putting some shoes on, going outside, and sprinting until you can't breathe anymore. Do this 3 times. The thinking expressed echoes many of the themes from my reading of Stoicism, chiefly * learning to appreciate what you have rather than chase something you don't have in the vain hope that it will give you satisfaction. * coming to terms with the fact that there are things you have no control over and not worry about them. (If you are unfamiliar with Stoicism and would like to learn more, the blog archive at https://www.amazon.com/Guide-Good-Life-Ancient-Stoic/dp/0195...). > Knight, who favors the shouty, super-caffeinated tone of a spin-class instructor, calls herself a “bestselling anti-guru.” She is particularly proud of the best-selling part, and it’s easy to see why her approach appeals. The phrase there is nothing wrong with you takes up two full pages of her first chapter. I agree with the sentiment of the article. I find it interesting from a meta-analytical perspective, too. As the above quotations demonstrate, even when aware of the sinister, deep nature of the hamster wheel, the author perpetuates their own forebodings. The pattern is being unable to see value or usefulness without highlighting the material end; do we want to stoke the fires to encourage more of the same under a different brand? One of the secrets the Stoics have uncovered, I believe, is to practice will-power so that we can identify and resist craving. Simply saying "stop it", or "re-think the system" undermines the reality that billions upon billions of dollars and our smartest minds are, at this very second, applying our most advanced technologies to further expand this soul-less, insatiable machine which we've created. This is an introduction to Stoic thought as it applies today by a professor in philosophy, very clearly written. Great for first exposure. It (sensibly) skips some of the more arcane stuff, such as Stoic metaphysics (historically relevant, but really obsolete). 3. Epictetus' Enchiridion is available on Project Gutenberg, btw. It's very short, and many things are not really relevant today anymore, yet surprisingly many sections still "speak to us". 4. Note also that Tom Wolfe's huge novel "A Man in Full" is suffused with Stoic themes. I find Stoicism quite wise, and still substantial enough when you subtract all the obsolete superstition (which cannot be said of, for example, Abrahamic religions). Certainly good for tranquility and empathy. Sometimes hard to translate into positive action, though, I find. I think of Meditations like a daily journal or notebook. It's one of the few books I keep around my desk and occasionally just flip to a random page and read. Individual passages have a lot of meaning so often I'll isolate one and really think about it or talk to my wife about it for a while. In general, though, I agree it's not very organized or easy to read. 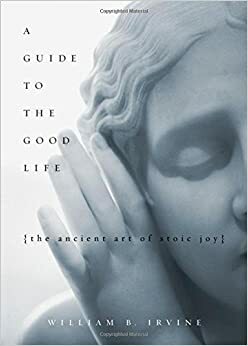 If you're looking for a better entry into stoicism I'd suggest A Guide to a Good Life. It's a structured overview of stoicism with straight forward advice on actually using stoic ideas in your own life.